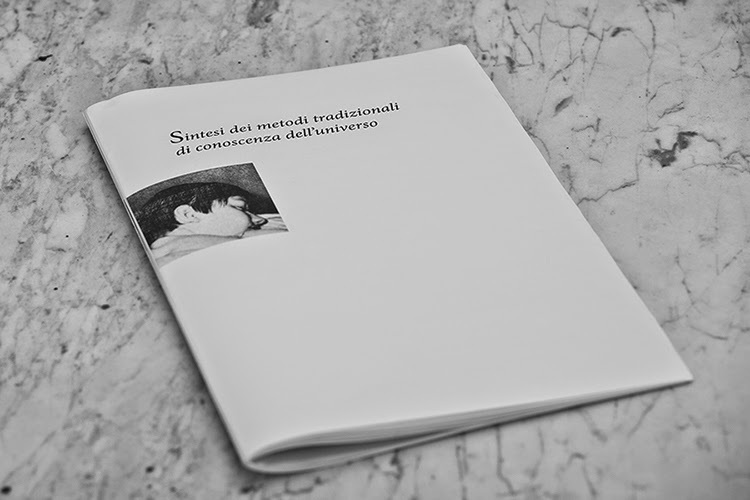 "'Sintesi dei metodi tradizionali di conoscenza dell’universo’ is an art edition, an extension of the previous book 'Antologia Minima', a discussion of the ethical responsibilities in the data organization to create an archive. The book is a tribute to the texts of parascientific information on the mysteries of the universe published in the 70s and 80s. An accurate selection of non-authorial photographs (taken from manuals to train dogs, fitness and bodybuilding, christian propaganda novels and essays on medical hypnosis) accompanied by some autographs texts, that segment of knowledge split between science, faith and popular credulity."